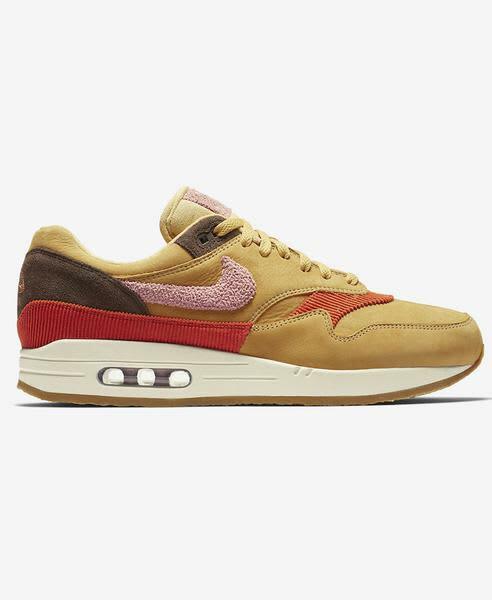 This is the Nike Air Max 1 in a premium edition in wheat gold. The uppers have been given a textured upper remix with accents of corduroy and towelling. The wintery colours are reminiscent of Nike's classic ACG range from the 90's They also come with two colour options of shoelaces.